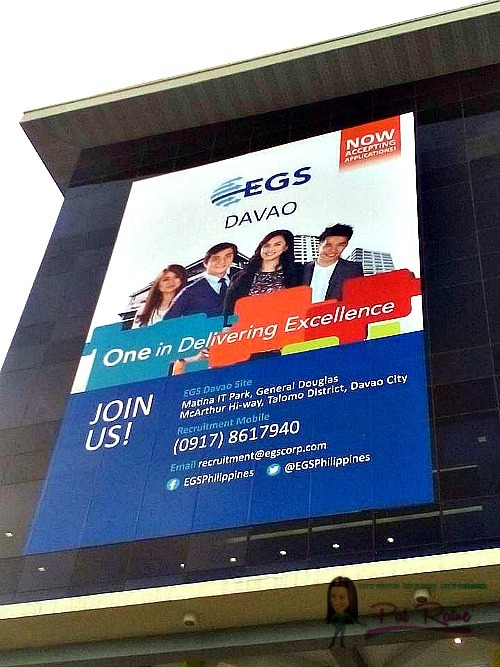 EXPERT GLOBAL SOLUTIONS (EGS), a business processing outsourcing (BPO) firm is finally here in Davao City, the first branch outside Metro Manila. A fully-scaled global leader in the BPO industry, it has a global network of 40,000 employees, and with approximately $1.5 billion in annual revenue. Offering onshore, offshore, nearshore and at home solutions. EGS is an award-winning market leader in both the CUSTOMER RELATIONSHIP and FINANCIAL CARE BUSINESSES. And proud to deliver customized solutions to their clients and exceptional service to their customers throughout the full customer life cycle, it operates 100 contact centers in 13 countries. 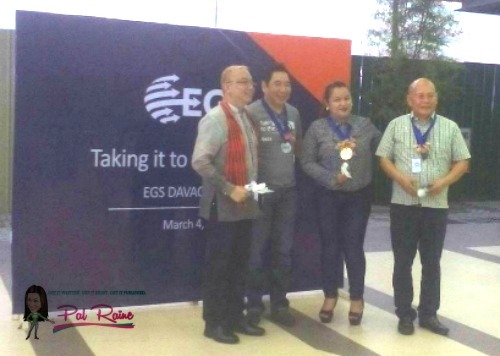 March 4, Friday, as EGS Davao unveil their new home in the South, located at Matina I.T Park, McArthur Highway, Talomo District, Davao City, Davao del Sur just beside S&R Matina. 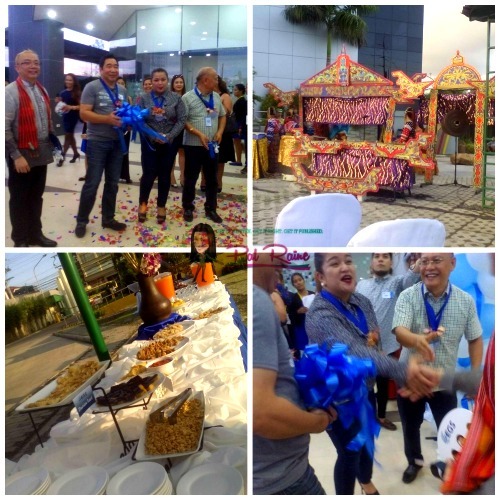 The first to occupy the first building at the Philippine Economic Zone Authority (PEZA) --- the accredited Matina I.T Park, considered to be the biggest information technology center in Mindanao. The IT center is consist of three buildings with area 19,790 square meters combined lease and developed by the Plaza de Luisa Development, Inc. It is designed to cater a unique and perfect office space for outsourcing industry. 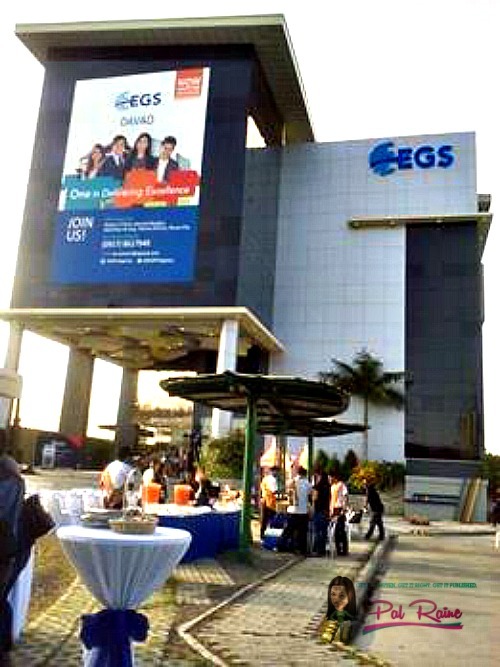 EGS occupies the entire four-storey building, dedicated to EGS's use. The building includes approximately 1,300 seats and is expected to be "home" to 1,500 employees when at full capacity. Lucky enough to witness the inauguration of EXPERT GLOBAL SOLUTIONS, INC. It was gracefully opened by the Tribung Mindanaw Dance Troupe, showcasing the Lumad dance here in Mindanao. Followed by an inspiring speech from the EGS Prominent People headed by Mr. Bong Borja, President and Country Head of EGS Philippines and Australia, EGS Davao site lead, Mr. Roy Sy and first district councilor Joanne Bonguyan-Quilos, representative from the City Government. 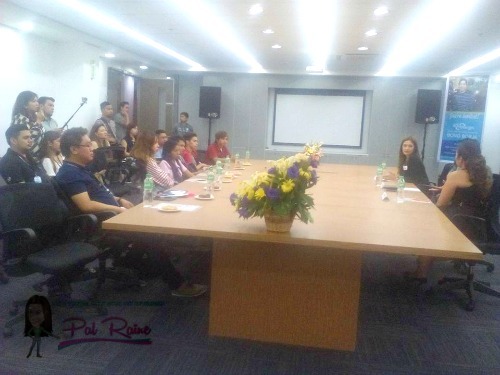 During the Press Conference, Mr. Borja divulge to us that they are planning to get the other building of the Plaza de Luisa Development, Inc., (still under construction) as they foresee the increasing needs of expansion, because of the talent they find here in Davao. We also ask, WHY DAVAO? He just simply reply, "SAFETY and SECURITY". EGS training is still the same with what you experience with other BPO companies. If you have the experience of delivering customer care solutions, well this will extend your capability in dealing with clients. "EGS will enhance you more to become specially trained experts in helping solved customers problem." ~ Ms. Irene Tan. For now, they have 225 job orders waiting for deployment here in Davao. They are still hiring up to now, want to become one of them? Apply Now !!! Accept second year college, as long as they know how to communicate in English fluently. Remember, your clients are mostly from North-America. They also accept PART-TIME job, this is just for 4-months (November to February). EGS allows employees to open and use their social media accounts while working. EGS employees enjoys team-building and relaxation activities. And if you are employed EGS, you can refer a family, friends, or relatives and win a brand new VIOS.